Pyston 0.6.1, streamalert, sceptre, sports analytics and much more. This latest release contains performance enhancements over 0.6, bringing Pyston to 95% faster than CPython on standard benchmarks. In other news though, dropbox is no longer sponsoring further releases, so it remains to be seen where the project goes from here. My coworker just wrote this. Today was a good day. A journey to make Python with HTTP screaming fast which resulted in a new web micro-framework. Why is python3 adoption slow even though there are tools for migration? 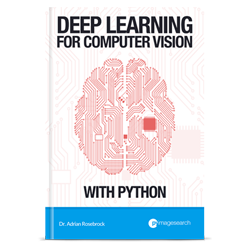 Inside this new book from PyImageSearch.com you'll find super practical walkthroughs, hands-on tutorials, and a no-BS teaching style that is guaranteed to help you master deep learning for computer vision. To learn more (and back the Kickstarter campaign), just click here. Posted By Pole Star Space Applications Ltd.
Tweets metadata scraper & activity analyzer. StreamAlert is a serverless, realtime data analysis framework which empowers you to ingest, analyze, and alert on data from any environment, using datasources and alerting logic you define. A repository for one-line bash commands. Deep learning project to transform male portraits into female and vice versa. Device to monitor appliances that vibrate, such as clothes dryers or garage door openers. ðŸŽ† Wkhtmltoimage python wrapper to convert html to image. A python written personal assistant. Python library to convert YAML/JSON into SQLAlchemy SELECT queries. Websocket stress testing made beautiful. Cool article on perspectives and inner workings of Python. Primer on Apache Spark for NBA data. The intricate relationship between "object" and "type" and how metaclasses, classes and instances are related. YAVU (yet another vim user) but you know us â€“ we love vim. damn, got tests leaking gigabytes of data this little wrapper may help.